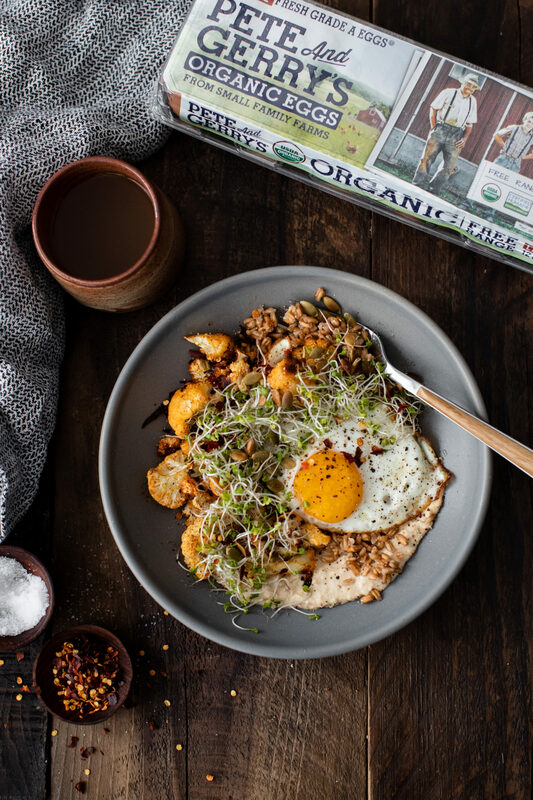 Fried Egg Cauliflower Grain Bowl with Farro | Naturally. Preheat your oven to 425˚F. 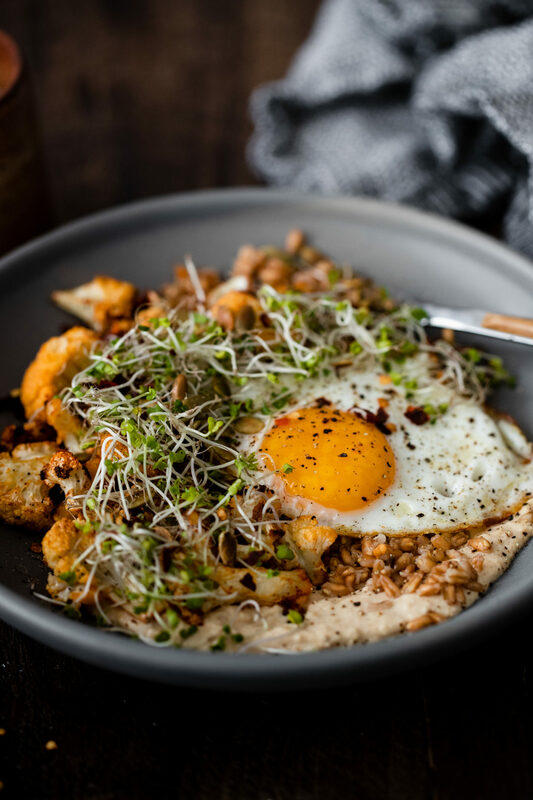 Place the cauliflower on a sheet tray and toss with the olive oil, minced garlic, smoked paprika, and salt. Place in the oven and roast until golden and tender; 25 to 30 minutes. 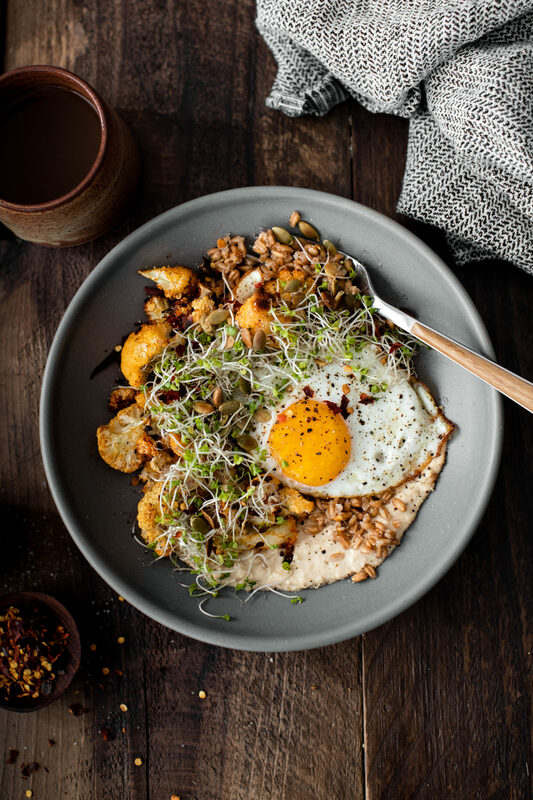 When the cauliflower is done, assemble the bowls. I like to use low, shallow bowls. Scoop hummus into the bowl and give a good swirl around part of the bowl. 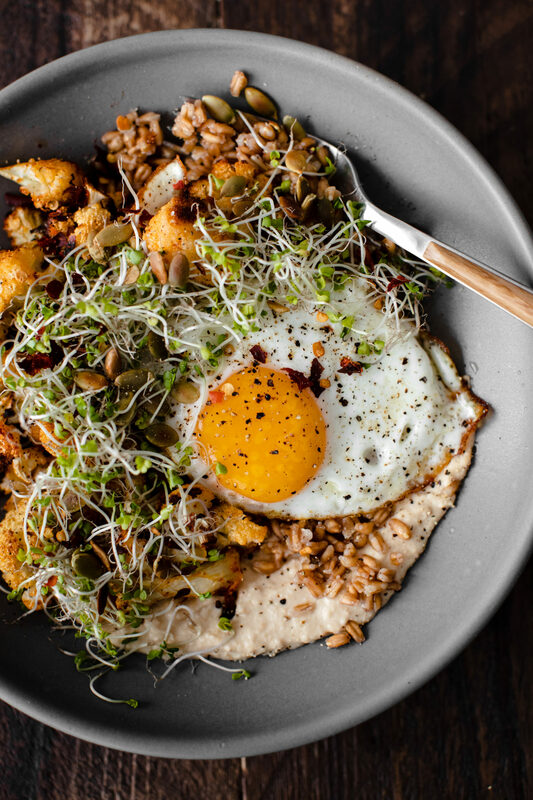 Top with the farro, roasted cauliflower, fried egg, microgreens, pepitas, and red pepper flakes, if desired. 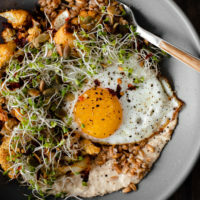 Use leftover grains and roasted vegetables if desired! I made this for lunch today and it was SO good! I had an aging zucchini that I added to the cauliflower before roasting and used spicy hummus that I had on hand. 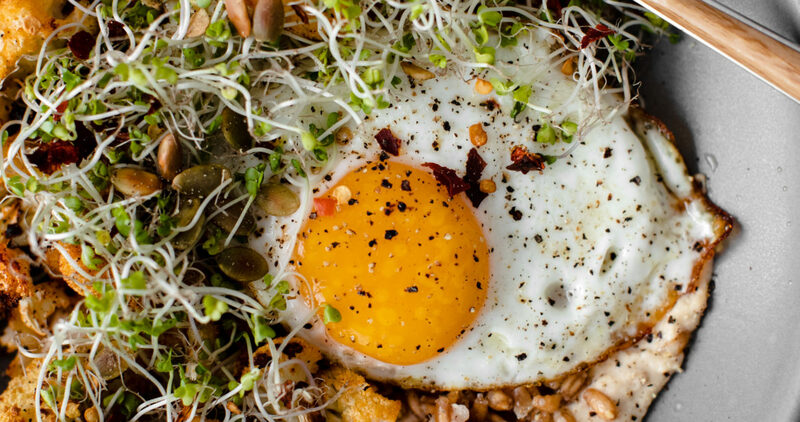 Sucha great combo of flavors and textures! Thanks!